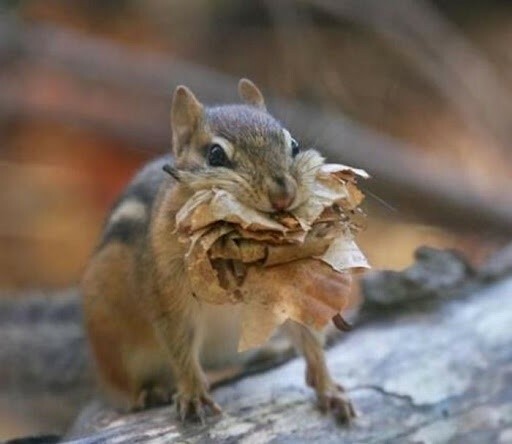 How do chipmunks prepare for winter? Chipmunks hibernate in winter, but they don’t sleep all the way through the season. They retreat to their burrows and wake every few days to raise their body temperatures to normal, feed on stored food rather than fat reserves, and urinate and defecate. When chipmunks are in the deep sleep phase of hibernation, they may be very difficult to arouse. Their heart rate declines from about 350 beats per minute to perhaps 4 beats per minute. Body temperature may drop from 94 degrees F to whatever the temperature of the burrow—as cold as 40 degrees F.
A new study has found that as winter temperature heats up because of global warming, chipmunks in warmed areas become less likely to hibernate in the coldest months. 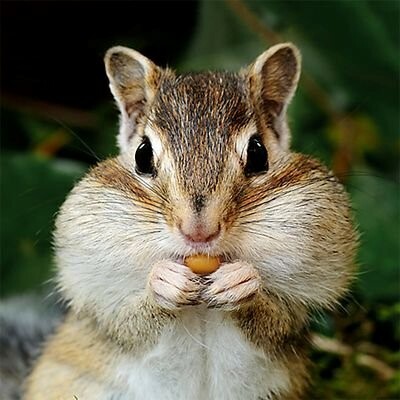 The research indicates that chipmunks that follow normal hibernation procedures have a survival rate through winter of about 87 percent, while those that remain active because of warm winter weather are almost certain to die by spring. The scientist who made this discovery, Craig Frank of Fordham University, fears that this evidence could suggest dire results for other hibernating species as climate warms (blog).